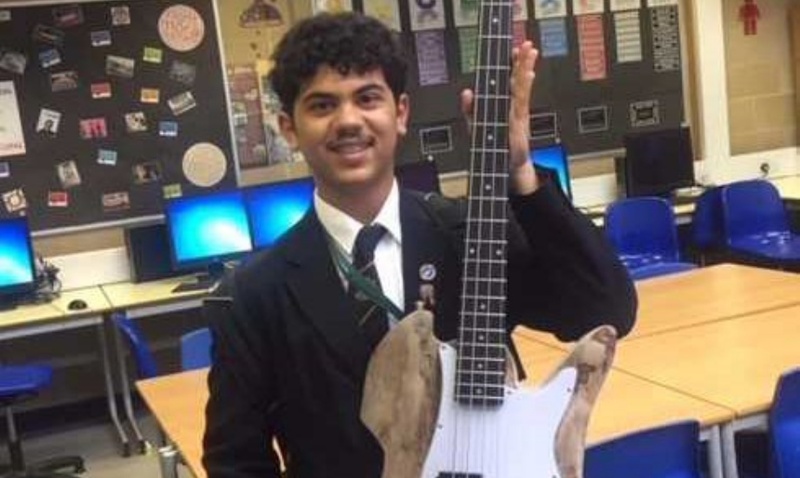 Year 11 student Ethan Levitt has been working tirelessly with Engineering teacher Mr Fogarty after school over the past few months building a bass guitar out of Holly wood! Upon building it Miss Stoddard, Performing Arts teacher and musician, introduced him to Year 10 students Lewis Bates and Nicole Barrett who play electric guitar and keyboards respectively, as well as another Yr11 student Simante Kerinaite who plays drums. Within 10 minutes of guidance they were all jamming the main riff of ‘Superstition’ by Stevie Wonder.